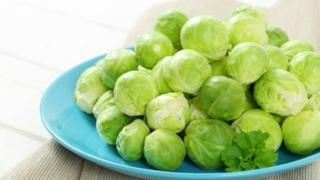 A council has been ridiculed for telling people how many sprouts to have with Christmas dinner. A tweet advising festive diners that six is the magic sprout number drew reactions ranging from amusement to ire - with some branding Leicestershire County Council "food Nazis". "Six sprouts = ONE portion. Don't overbuy", the authority warned. A spokesman said: "We send out thousands of tweets... sometimes we get it wrong." Ian Bloomfield replied: "Food Nazis now telling us what we should eat. I guess all potholes and resident problems are solved as you can afford to waste time tweeting nonsense." But other responses were a little more light-hearted. Bobby P quipped: "If we want to leave Brussels we will". The council spokesman said: "We want residents to enjoy every aspect of Christmas Day, including the sprouts." Video Can you cook your entire Christmas dinner on a BBQ?